There are many new residents in Uptown who are unaware that a magnificent movie palace lurks behind the boarded up doors of the Uptown Theatre. Today, the upright marquee is gone and much of the elaborate terracotta has been removed and put in storage. 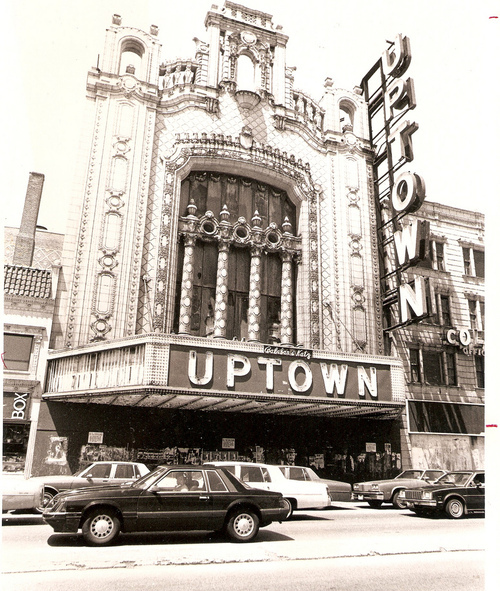 This photos, submitted by a reader, shows the theatre in 1986. What a treasure!